With a population of more than 130 crores, India is a highly price sensitive nation. A rising population calls for higher demand for power. To solve this inevitable situation, the Indian government has been increasingly looking towards renewable sources of power generation like wind and solar in the country. It is true that the prices of renewable energy sources have drastically fallen down in the past few years and there has been huge adoption of utility-scale solar projects. 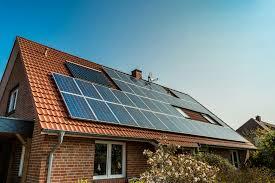 However, the country still lags behind rooftop solar installations despite having huge potential. We are generally reluctant to change. People of India still lack relevant information and awareness about the benefits of going solar. They end up paying high power tariffs because they are not comfortable incurring upfront expenses of buying solar panels and other equipment. Even if someone is interested, he does not want to go through the complex process of getting subsidies and relevant paperwork done. Lack of standard products, procedures and the absence of easy financing options from banks has resulted in a slowdown. All these factors have led to slower adoption of rooftop solar despite the country having a large number of available rooftops for installation. According to Bridge to India, households account for only 9% of the total rooftop solar capacity in the country and a majority of the rooftop installations in the country are on commercial or industrial establishments. The Indian government has announced various policies, subsidies, and progressive net metering rules to promote rooftop solar in India, but all in vain. Given the lack of proper structural norms and adequate financing options, the Indian residential solar rooftop sector will continue to suffer in India.